Glasses & goblets Hand-blown carafes & jugs. Jars & Goblets - Elegance in Perfection. Of course you can drink water, wine and more from any kind of glass. For simple fluid intake is sufficient for any common and widespread mass production. To serve the exquisite taste, however - certainly not. To satisfy a subtle palate and a practiced ear as well as a sensitive nose and eye examining the connoisseur, it also requires quite different category of glasses. A difference whether it is business life and its events or private festivities - there is really not. Stay true to your style and habits, especially in your business! Handmade drinking glasses and carafes made of glass. The spectrum of the Celebrity glass collection includes, among other things, collections of tableware, glass for interior decoration and for wine and beverage tastings. 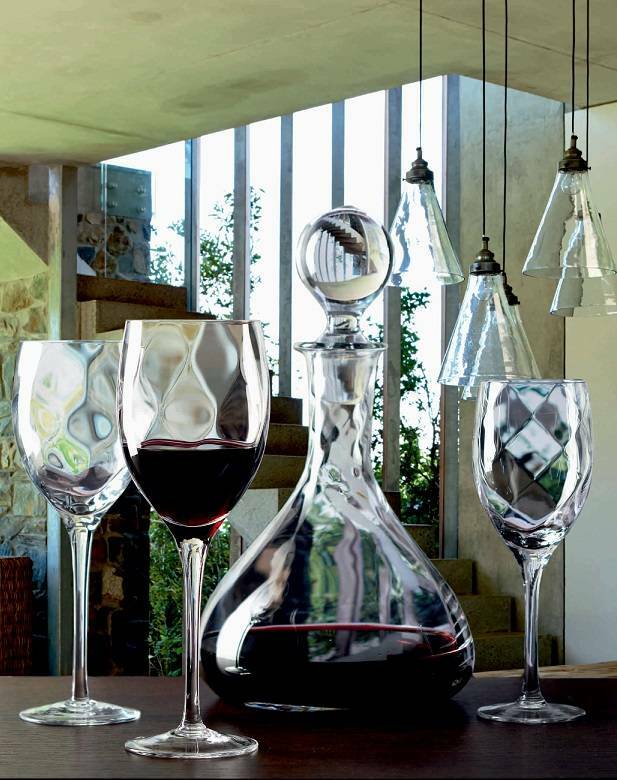 Thanks to its quality, the CELEBRITY glass collection effortlessly convinces every discerning customer. The glasses are handmade and meet all the stringent requirements of quality and safety standards that apply both in the European Union and worldwide. This glass collection is made from quality materials sourced from trusted and certified suppliers. The glass is transparent, sparkling and colorless, which underlines its beauty. An important argument confirms the purchase decision - the glass is Pb - lead-free and free of heavy metals.